Discussion in 'Gen 7 Discussion' started by Draciel, Jan 11, 2017. Hello and welcome to the SM OU Viability Rankings. In this thread, we as a community will rank every single usable Pokemon into tiers that reflect their viability in the current OU metagame. Everyone is encouraged to post their thoughts and opinions on the rankings provided they are justified by solid reasoning. Poorly made posts will be deleted and multiple occurrences might lead to an infraction. This thread is for discussing the viability of a pokemon in OU, and the discussion should be strictly about that. To discuss possible suspects and the metagame in general, please check out the SM OU Metagame Discussion Thread right here. S Rank is reserved for Pokemon who are extremely threatening and impact the metagame in a major way. These Pokemon can either fulfill a variety of roles or are superlative in performing one task on a team. A Rank Pokemon are the bread-and-butter of the tier, usually filling most roles in a team in the most efficient way the tier can offer. They will easily fit into a team and often define the style of play. They are not as overwhelming a presence as S Rank Pokemon but will almost always perform well. B Rank Pokemon are less easily able to slot into a team as A Rank Pokemon, but are still able to fill a role well and be a presence in the right team. Pokemon which may be slightly outperformed by higher ranks but nonetheless still fit well, and Pokemon which have a threatening but small niche may be in this rank. C Rank Pokemon have notable niches in the metagame, but usually require significant support. These Pokemon face competition for their roles from the higher ranked Pokemon but can find still find use. Blacklist: A special ranking for the pokemon that are widely believed to be viable or see fair usage, but aren't actually viable, nor practical to use due to being entirely obsoleted, plain bad, or a variety of other reasons. JoyFrost, Joyverse, Rabidragon and 1 other person like this. Great work on this!! I have listed my opinion of potential changes and short reasons why. Even though I see this getting suspected or banned quickly it is still OU and should be included in the list! He is better in theory than practice in my opinion in this generation. In a metagame full of psychic and steel types he is struggling. Especially since most of things he checks run coverage moves for him. Pheromosa has Ice beam, Tapu Koko has Brave Bird. I just find him to not have the threatening presence he has had the past 3 generations. I can see him finding a spot at the top of a UU tier honestly. Again good in theory, but outclassed and hard to find spots for on teams. Meet everyones favorite Pheremosa check. This thing goes above and beyond its role and has become on of the more fun new toys of the generation and can find spots on a good deal of teams in this fire weak OU tier. Access to Defog, SD and U-Turn in a generation run by volturn offences makes him fit on a good majority of teams right now. With Latios as a common defog user and charizard such a huge threat, Bisharp once again finds himself at the center of the anti meta cores. I would move him up because he once again checks a good majority of the top half of the tier. Kartana is in my opinion one of the generations biggest disapointments... amazing offensive stats with access to NO hard hitting moves. It has SD, but its Special Defense makes even this difficult to consistantly get off. Seriously this thing is amazing. This is my second favorite mon to run z fly on. Intimidate also is threatening as ever and his ability to beat pheremosa and buzzwole makes him a huge asset. This thing is a huge threat with z happy hour. It has a huge ability to sweep late game. I dont think Togekiss has ever been viable in OU, but it becomes worse and worse every generation. Last generation it got faerie added to its type honestly making its typing much worse and this generation we have a plethra of steel types running the tier. I could not see it having a viable spot on a team this gen in OU. Huge Power as well as its ability to beat Mega Zard X makes him extremly viable in this Tier. A Great typing, SD and his awesome ability make him a threat in this tier. Assalt Vest Muk is really good, I also really like his new type coverage. Z Hypnosis Boosting Speed +1 followed by Tail Growth makes him a really common late game sweeper. This tier is super weak to fire types and his ability to fit on volturn teams is why i think he deserves a higher ranking. How is Scizor not even ranked!?!? Mega Scizor is better, but on teams with a mega on them already Scizor can still play a critical role. I'd actually support putting Porygon-Z even higher than B+ because it can also run Z-Conversion, which allows it to change its type to the type of the move in its first moveslot, in addition to getting +1 boosts to its stats. I've been playing with a BoltBeam set for a bit, and it is very effective. With Electric Surge support, it has the potential to utterly annihilate the competition with Adaptability / Download boosted Thunderbolt. Alolan Marowak could very well be A rank considering that it can wall several key threats, such as Tapu Koko, with its Fire / Ghost typing and immunity to Electric via Lightning Rod. It also still has its trusty Thick Club, which doubles its Attack, and it has a nice movepool with Shadow Bone, Flare Blitz, Earthquake, elemental punches, Swords Dance and Stealth Rock. However, it is quite sluggish. I also agree with Froggy in regards to Genesect, Tapu Koko, Bisharp, Dugtro, and Mimikyu. My initial thought on Kartana is that its best potential may be in a Choice Scarf set that acts as a revenge killer and / or late-game cleaner, but I'll refrain from saying anymore about it, or the others mentioned, for now. Defensive Mandibuzz has the ability to use Foul Play to cause problems for several physical threats, such as Landorus-T; Mega Metagross; (Mega) Scizor; and other Attack boosters. It can support its team with Defog, avoid losing momentum (to an extent) with U-Turn, or stall break with Taunt. @Froggy your post is hard to read on the black theme. I'd actually move Decidueye up to B- as it's a nice defogger with the ability to trap and reliable recovery. Genesect into S as you have to somewhat build your team with one of few mons that can check it. Venusaur maybe to A+ as it can check a lot of things, One of, if not the best for fwg cores and it absorbs tspikes. threatens 3/4 of the kokos. Also reliable recovery and nice coverage. Buzzwole to A+ or S. Its offense and bulk and STAB base 80 recovery move + its decent speed in comparison to a lot of things. The subpunch set is extremely dangerous and hard to stop. I'd put Salazzle in the C's somewhere as it isn't listed yet, but its speed and ability to poison anything plus it's offensive capabilities are very underrated. I'd move Mega Metagross down to A+ as it is a threat but I wouldn't consider it as broken as Protean Greninja or Genesect. That being said I'd move Greninja up. Maybe a mention of Araquanid in a lower ranking as its Special bulk and its ability make it somewhat viable in the metagame. Genesect needs removing because it is banned. Ash-Greninja can be very difficult to stop once it changes forms due to its great Speed tier and monstrous offenses. It can run Z-Moves for Pokemon that try to stop it defensively, and Choice Scarf or faster Pokemon that try to revenge kill it have to beware Water Shuriken. Volcarona seems much better this gen thanks to being able to nuke stuff with Z-Moves, and it appreciates the common tapu terrains because Psychic Terrain protects it from priority, Misty Terrain protects it from Thunder Wave / Toxic, and Grassy Terrain gives it recovery and boosts Giga Drain. I still think Dugtrio deserves to be in the A ranks. Considering how many threats a team should be prepared for, losing a member due to Arena Trap is more significant now than it has been in past gens. Most Tapu Koko run U-Turn now to avoid losing momentum against Alolan Marowak, and that alone makes it a lot less useful than it was initially. Thanks to its Ghost typing, it doesn't have to worry about being trapped by Dugtrio, and it still can check Tapu Koko and Pheromosa, but due to its Fire typing, it requires hazard support to avoid being worn down by Stealth Rock and U-Turning threats that it wants to check. Genesect maybe from S rank to unranked since it's banned? I think Greninja needs to be moved up to S. in ORAS he was Ubers so he already showed that he has power, he didnt got a nerf or something like that so he has the same power as when he was Ubers. On the viability ranking for OU on the Smogon Forums he is also in the S rank. I had a lot of succes on the ladder with this set. with this set it can super effectively hit 2 Pokémon in the S rank. Mega Medicham, Mega Pidgeot, Mega Steelix, and Mega Audino are legal now. I presume that at least Mega Medicham is worth listing somewhere, but I mentioned the others just in case. Also, it would be good to get some input from the OU leaders about some of the proposed changes. 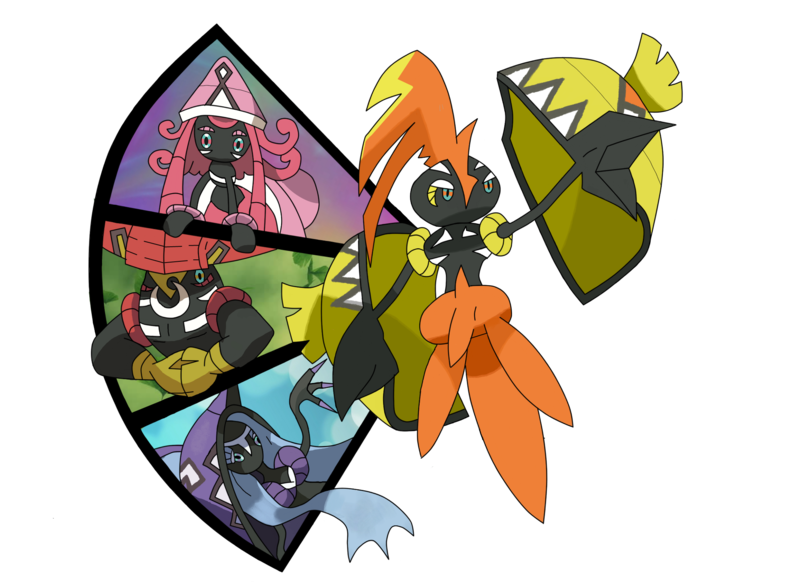 EDIT: Actually, Mega Mawile isn't on here either. I propose that it goes into A+ or something because it hits obscenely hard and can wallbreak or threaten to sweep some teams with Swords Dance + Sucker Punch. It's really slow, but it has acceptable Defense, especially if it has Intimidate prior to mega evolving. Still scary, but the speed tier is not amazing and is not as versatile compared to others S mons. STAB in every move is great, access to Spikes in a metagame where control of hazards is terrible (outside of stall), great speed tier after Pheromosa Ban, the Scarf set is so good for speed control. Unpredictable. Still a good mon, but can not be durable in such an offensive metagame. Incredible speed tier after Pheromosa ban, Taunt + U-Turn makes Koko an excellent offensive pivot, Electric Terrain gives support for several mega to abusing of TPunch coverage. Your movepool is not the best but it is able to weaken grass checks (and Shedinja) with Brave Bird or checks in general with Nature's Madness, well, when a Pokémon is incredibly fast and has access to U-Turn, it is difficult to call solid counters. Stall atm makes these mon deserve something more than B +. The great defensive (and non-passive) pivot currently is an excellent glue and response to common threats like Tapu Koko and Zygarde, and can work in any playstyle except HO imo. Mega speed buff, great coverage and insane power, only Mega Sableye, Mew and Niche-mons aka Cresselia and Cofagrigus can switch in without being completely destroyed. Not as fast as Medicham, but with an excellent type that allows you to take some hits and hit back with immense power and almost perfect coverage. AoA and SD are excellent sets. Sorry for bad english and quick coments. AV is a solid primary switch against Greninja, and ''easily'' enduring hits from Tapu Lele, Gengar and others. Volt switch allows momentum against threats that the defensive set can not play effectively, such as Tangrowth and Chansey. The only ''bad'' stat is its Speed, easily corrected by Trick Room and Shift Gear. Magearna has an incredible and unpredictable offensive arsenal, having access to many different toppings, either BoltBeam + Z Focus Blast, Stab based coverage or specific hits for some checks such as Shadow Ball or Hidden Power Fire. Fairy / Steel is an excellent and solid type, and Soul-Heart is a very useful snowball for a late game sweeper. Magearna does not need much support except against stall, and being removed by Dugtrio is probably their only ''fault''. I see Magearna more consistent than the others A + mon in the current metagame. Just click Thousand Arrows. Zygarde limits the teambuild so much, ignoring Ground immunities. He is incredibly fat and has variants of offensive sets that press the opponent; Be SubCoil, Band or DD + Z move. He still has access to Extreme Speed and decent coverage, punishing with Toxic the fews switchs, aka Tangrowth. The destructive power is excellent against Stall and Balanced slower, with few safe switchs, but its speed is slow, it occupies the mega slot and it needs of support like Trick Room or Sticky Webs.